Who are the Green Party’s deputy leadership candidates? 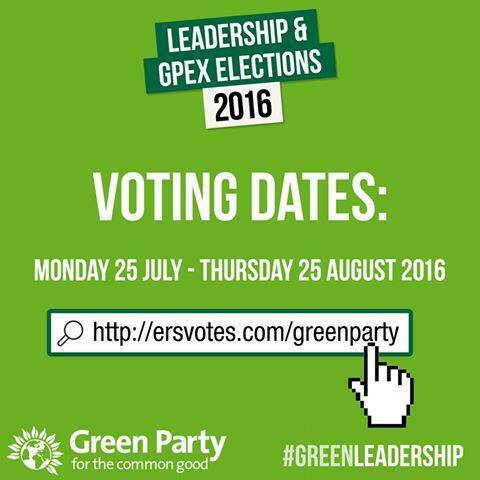 There’s just a week to go until ballots close for the Green Party’s leadership election on August 25. You can read about the candidates for leader here, but there are also seven candidates running for deputy leader – a key role in building the grassroots, representing the party, and offering an organisational and ideological steer on the party’s Executive. And it hasn’t received a great deal of attention – despite it arguably being the more interesting race. Ali is one of the two current Deputy Leaders of the party, and along with Amelia Womack is standing again, in what could be seen as a ‘Deputy v Deputy’ race. The first black leadership figure to be elected in a major British party, Ali is an academic and doctor of philosophy, and previously worked as a researcher in the European Parliament. It’s hard to pitch him as on the Left or Right of the party, but he is instead pushing his speaking skills, arguing ‘you need a deputy who can pack a punch at a rally’. Ali was also number three on the London-wide list for the London Assembly at the recent election, just missing out to Sian Berry and Caroline Russell for the two elected AM spots. With a much larger membership now than last time (around 45,000 to 2014’s 15,000), Ali has focused on accountability and representing grassroots members. 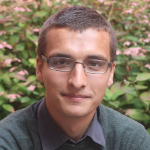 Womack was elected with the highest vote among the candidates in 2014, and at 31 is the youngest leadership figure of any mainstream party. She is seen as someone on the pragmatic Left of the Greens, and was in the media recently for speaking out against the controversial employment practices of Byron Burger. Originally from Newport, Womack was the lead candidate for the South Wales Central region of Wales in this year’s Welsh Assembly election. She’s also the party’s spokesperson for Culture, Media and Sport, and is a popular and increasingly well-known figure across the England & Wales party, particularly among the younger ‘Green surge’ joiners. I declare an interest (she’s a friend) but her two years as deputy has undoubtedly boosted her profile and backing in the party. 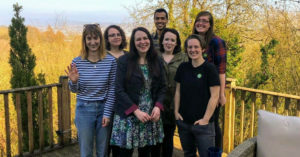 She says her priority is to build on her work over the past two years and make the Greens a leading progressive voice in the aftermath of Brexit – which could be a vote winner in turbulent political times. Midlands-based Kat Boettge is a psychotherapist and former Green councillor. Originally from Germany, Kat has made unifying the party and country after Brexit a key issue. Boettge is currently a town councillor in Kimberley, and was the chair of East Midlands Green Party for three years. She has been a councillor for the Greens, and is a single mum – perhaps a more diverse background than some of the councillor/politician candidates. Boettge believes her migrant background would send a powerful message in the post-Brexit atmosphere. 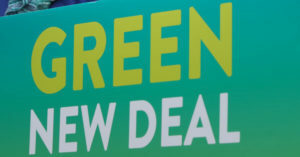 Borgars, 25, is running as the ‘watermelon’ candidate – green on the outside, red on the inside (not necessarily a pejorative in green circles). Cooper is a long-standing Green councillor based in Yorkshire. He is, in some ways like Radice, running as the ‘non-London, experienced candidate’ in a race that has touched on the party’s perceived London-centrism. First elected to Kirklees Council in 1999, Cooper has a background in the renewable energy sector and is seen as more traditionally ‘green’ than other candidates. Alongside Amelia Womack and Shahrar Ali, he is viewed as being a ‘top three’ frontrunner, meaning the election could well come down to second and third preferences. Poorun has undoubtedly one of the most varied backgrounds of the candidates. Having grown up in Ireland, Mauritius and then South London, he left school and home at 13 years old. He says his work ‘has included being a childminder, a carer for 20 years, working in nature conservation (including teaching), and establishing [a] café, a woodland farm project, and national network of housing co-operatives’. Mixed-race and gay, Poorun could go down well with members keen to shift away from ‘preaching to the choir’. For the last three years Radice has been a councillor on Bristol City Council, and was previously an environmental advisor, working in the waste and rail industries. She’s certainly a candidate with experience – she’s been Assistant Mayor in Bristol under the previous independent administration, and has been involved in the party on a national level. ‘I am fairly wary of alliances with other groups that do not share our key insights. Radice says she is distinct from other candidates because she’s ‘held executive office as a Green in a core city of the UK’. With many put off running for leader by the Bartley/Lucas ticket, the deputy race is arguably more interesting to watch – with seven high-calibre candidates vying for the job. If Caroline Lucas and Jonathan Barley’s joint ticket wins the leadership, there will only be one deputy leader, instead of the usual two. The results will be announced at the Green Party’s annual conference on September 2.